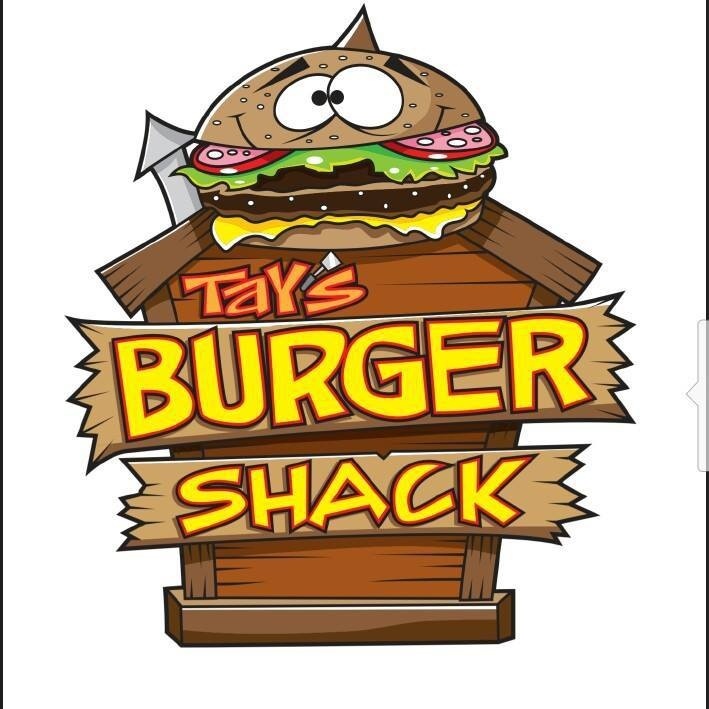 Tay’s Burger Shack is located at 1019 Armour Rd in North Kansas City. 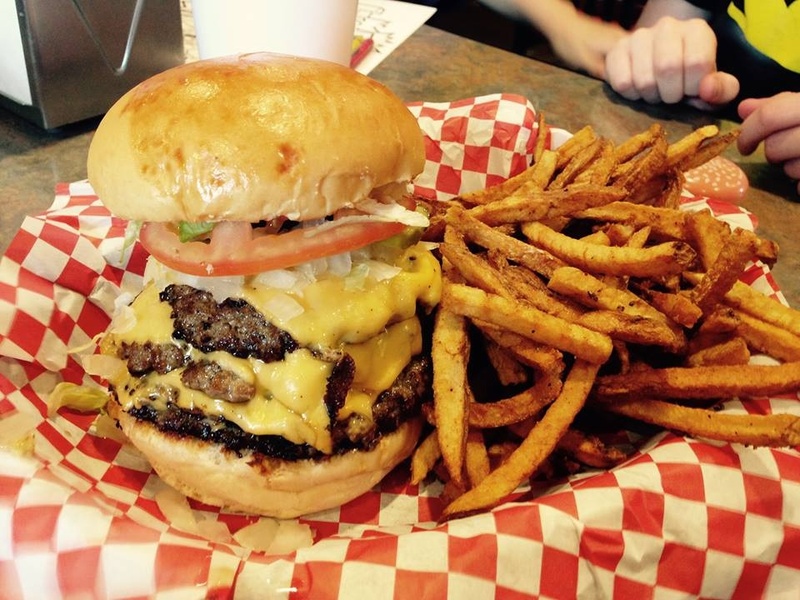 Tay’s opened in the fall of 2014 and has been gaining momentum and fans of burgers ever since. 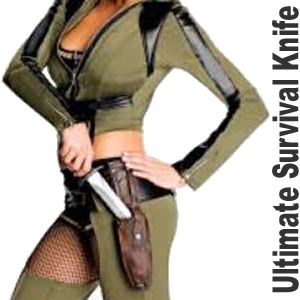 This location was previously a cigar shop and is very easy to find located on Armour/210 across from QuikTrip. In case you are wondering, this place does not smell like cigars. Tay’s is a small unassuming building but they have used the space well by offering indoor and patio seating. They have plenty of parking. 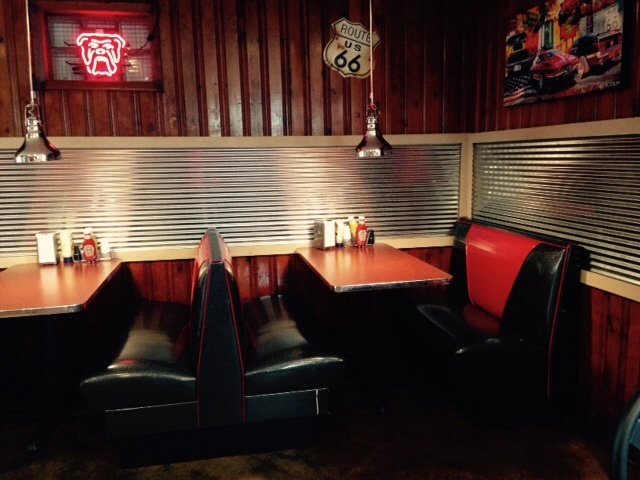 The decor is very well done as a clean 50’s style dinner or malt shop and the staff was friendly and eager to please. The staff checked on us several times and brought the kids a coloring book and a burger yo-yo that perfectly kept their attention during the visit. The funniest part of dining at Tay’s is the unsettled look on your guests face as you park and start walking to the door. You’ll be showered with kudos for the selection once you enter and get your food because this is a very cool hamburger joint. 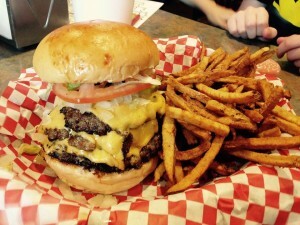 Tay’s has a very limited menu consisting of a few variations of a burger and fry combo. They serve Pepsi products in both fountain drink and cold bottles. The hamburgers are awesome. Thin patties that reminded me of Winsteads but are way better. These are the type of burgers you can’t make at home. Great meaty taste with pepper flavor and slightly cheesy on a buttery toasted bun. This burger was fresh and included a great thick pickle and your choice of cooked or sautéed onions and the normal burger fixings. 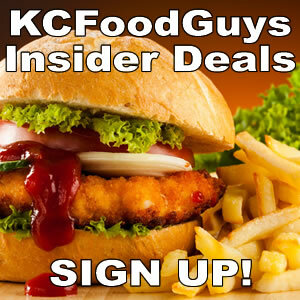 This is a great crafted burger that is hard to find, and very uncommon for a new restaurant. The fries are hand cut style, salty and heavily seasoned that pair well with the burger. Support a local business and have a great crafted burger at a new quirky burger joint at Tay’s in North Kansas City.